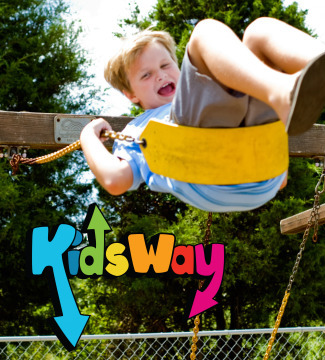 Welcome to KidsWay, our birth-5th grade Children's Ministry. We're based upon Proverbs 22:6: "Train up children in the way they should go, and when they are old they will not turn from it." KidsWay Sundays are awesome! Enter at our KidsWay Welcome Area and your child will be checked-in at our welcome desk. Here he or she will receive one of our security tags ensure that teachers will know your child's name and will be aware of any special circumstances he or she may have. We want your little one to be well known and cared for. 9:30am: K - 2nd Grade goes to Jr. Church while 3rd - 5th Grade goes to Sunday School. 11am: 3rd - 5th Grade goes to Jr. Church while K - 2nd Grade goes Sunday School. In Sunday School, Elementary classes are broken into small groups by grade, while Nursery and Preschool classes are broken into groups by age. Our KidsWay Welcome and Security Team will help you and your children find exactly where everyone needs to be!